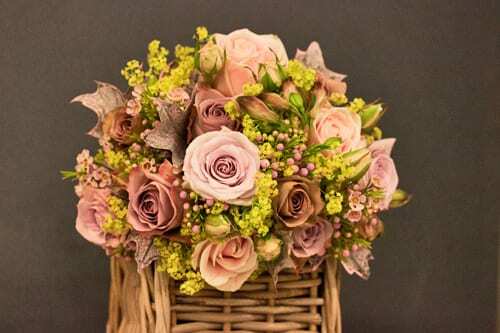 Last Friday, I was invited to attend a new course which is being run by the Covent Garden Academy of Flowers in London. 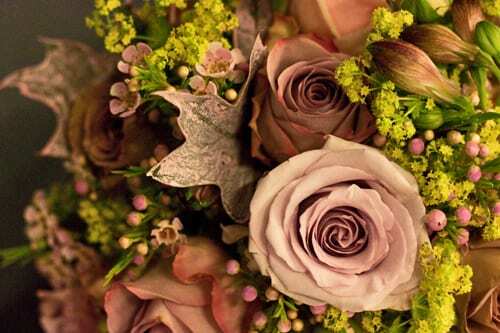 It’s called Vintage Flowers. 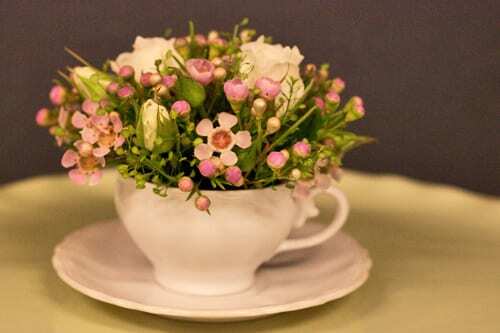 I had such a wonderful day…making a bouquet, a miniature teacup design and a corsage. 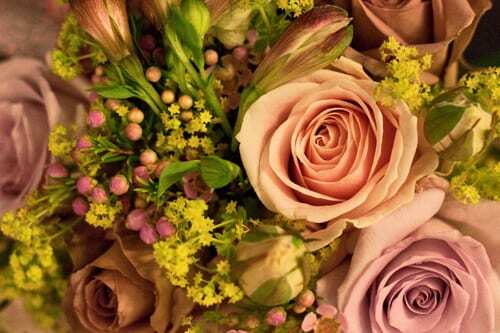 After we’d conditioned the flowers and foliage, our tutor Madeleine showed us how to make a hand-tied bouquet. And today’s blog post starts off with images of my finished design, which would be perfect for a bride. 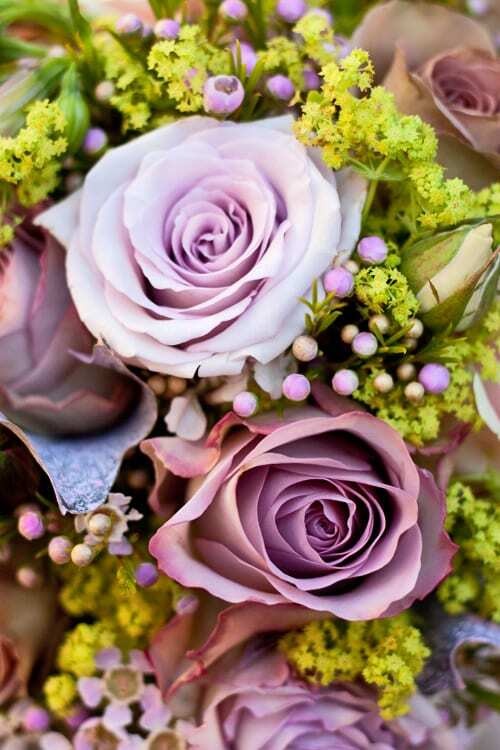 We used roses in faded vintage tones, including Amnesia (beigey lilac), spray Sweet Avalanche (pale pink) and Ocean Song (lilac). And I also included alstroemeria, alchemilla mollis, waxflower and oak leaves. 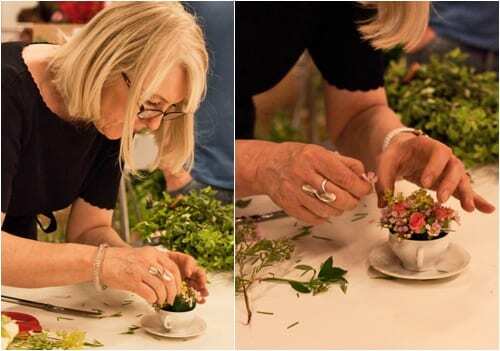 In the afternoon, Gillian Wheeler, the Principal at the Academy, showed us how to make a miniature teacup design using spray roses and waxflower. The design would be perfect for a place setting at a wedding or a dinner party. Simply add a little label with the person’s name. We also made a corsage using wiring techniques. And Gillian showed us how she’d aged containers, for that antiquey look. 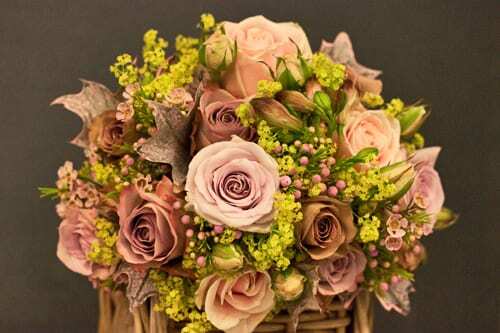 This was the first Vintage Flowers course at the Academy, but there are more dates available. What I love about attending courses there is that the team are just so friendly and approachable. 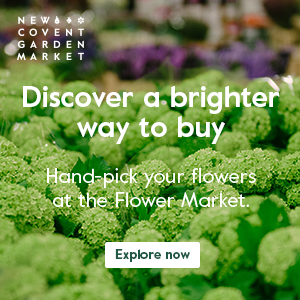 They all have masses of floristry knowledge and nothing is too much trouble…at all. P.S. 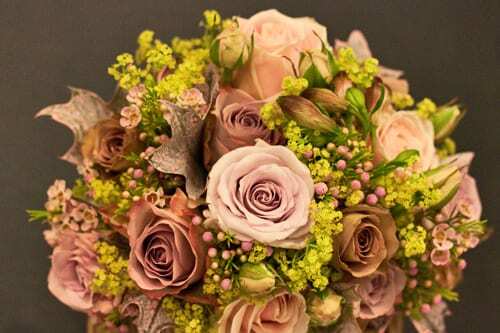 If you have ‘liked’ my Flowerona Facebook page, you may have noticed that my new cover image features my bouquet. 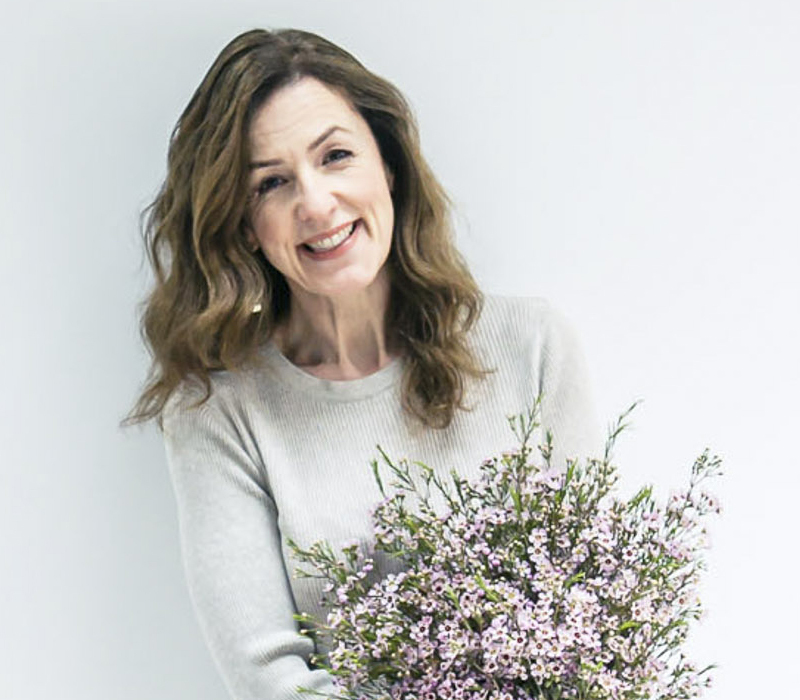 What a lovely blog post, the course sounds great 🙂 so lovely to see the Academy I done my degree with doing so well. Thanks for sharing Rona.